July 15 1988, after spending one day together Emma Morley (Anne Hathaway) and Dexter Mayhew (Jim Sturgess) become friends for life and make a promise to see or speak eachother every year on the day they’ve met. We see the story of Emma and Dexter evolve as the years go by. 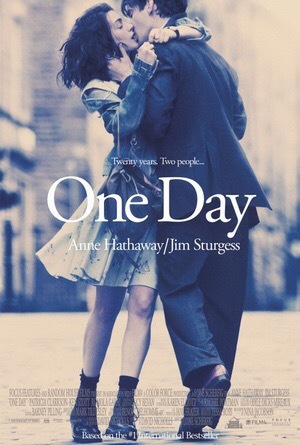 One day is a beautiful story about friendship, love and life. 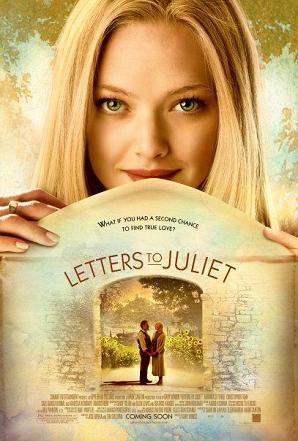 When Sophie (Amanda Seyfried) is in Verona, she meets the secretaries of Juliet. These women write each and every girl or woman who left a note with a cry for help at juliet’s wall. Sophie is a writer and is asked to help the secretaries and she discovers a letter that is fifty years old. Sophie is determined to write back and when she does she gets tangled in an unpredictable lovestory. Allie (Rachel McAdams) and Noah (Ryan Gosling) meet in the summer in a village named Seabrooke, where they fall in love. Allie is a girl from a wealthy family with the world at her feet while Noah hasn’t got two dimes to rub. They spend two amazing weeks with eachother but realise that it soon has to be over. A romantic film about true love that conquers all. Nobody could have imagined the impact that Vianne Rocher (Juliete Binoche) would make when she arrived in a tranquil, an old-fashioned French town. In her very unusual chocolate shop, she creates mouth-watering confections that almost magically inspire the straitlaced villagers to abandon themselves to temptation and happiness. A film about desire and love with a touch of magic. These films are our favourites for the summer! Hope you’ll enjoy them as much as we do!